Nearly 25 years have passed since South Africa returned to the international playing field, but issues as to why they were banned in the first place, remain. 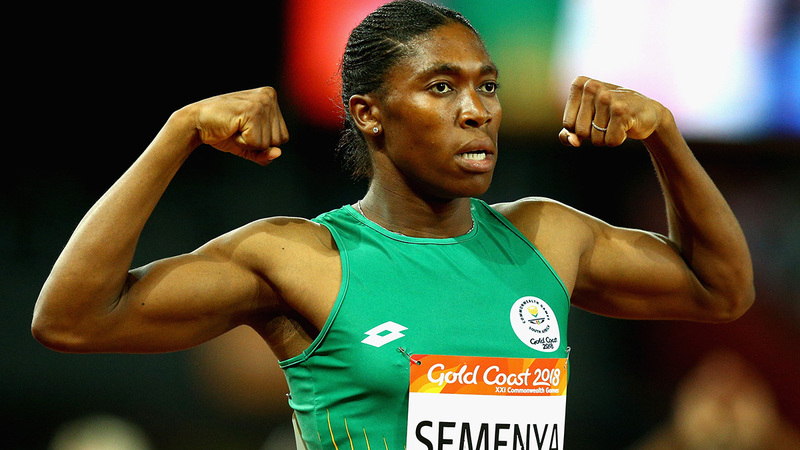 South African athletes of color still find themselves dealing with racial barriers decades after the dismantling of apartheid. Nkambule is a media professional based in South Africa who also leads research projects for Oxford University Press Southern Africa’s marketing team. The conflict between the race and South African sports is a tumultuous one. Nonetheless, it is a conflict that changed the country’s entire sporting dynamic. “The processes to change the face of sport over the past 20 years have been largely ineffective,” Willie Basson, a sports ministry panel member who oversees racial change, told The Guardian. To understand why this situation continues to defy efforts to eradicate it, one must understand the country’s history. After decades of being banned from international sport, South Africa played host to host a major sporting event: the 1995 Rugby World Cup. When the South African Springboks won the World Cup at home, South African President, Nelson Mandela, walked onto the field to present the Webb Ellis Cup to the team’s captain, François Pienaar. And in that moment, after decades of racial segregation, thousands of people in Ellis Park rose to their feet and started to chant. The man who was once a political prisoner and hated by many was being cheered for changing a racist climate and uniting the country through sport. With the display of admiration for the nation’s first black president, South Africa’s troubling history of race and sport seemed ended. Racism existed in South Africa for some time. But according to South African History Online, the apartheid system was promoted by South Africa’s National Party and into law in 1948. The goal was to keep South Africa’s white minority apart from its non-white majority. Research conducted after apartheid ended shows the white population decreased from 20 percent of the total population to 13 percent from 1946 to 1990, while the black population increased from 68.6 percent to 76 percent. Many laws helped enforce apartheid policies, such as the Race Classification Act, the Population Registration Act, the Group Areas Act and more. In response to apartheid, the African National Congress (ANC) protested, and the acts of opposition were led by Mandela. In 1949, the ANC adopted the Program of Action. The Program of Action promoted defiance against racist apartheid laws. The ANC’s protests and constant defiance of governmental policies led to the organization being banned. It also led to the 1964 imprisonment of Nelson Mandela. As the laws multiplied, the anti-apartheid voices silenced and the policy took hold, people’s lives, and that of the nation, changed. Sport was not immune. In 1958, the Fédération Internationale de Football Association (FIFA), acknowledged the white Football Association of South Africa (FASA), as the only governing body of soccer in the country. However, attitudes about race and inclusion started to change in the 1960s. South Africa’s Sharpeville massacre, along with more African countries gaining independence and using their voices, put pressure on FIFA to take action against South Africa. FIFA suspended FASA in 1961. During the 1970s and ‘80s, other international sport organizations followed suit with bans. In 1970, the International Cricket Council banned South Africa from international cricket play because of its refusal to allow men of color to play on the national team. In 1981, the International Rugby Board banned South Africa from international competition, after South Africa defied the 1977 Commonwealth Gleneagles Agreement. The agreement discouraged sport contact with South Africa until the nation ended apartheid. However, the South African Springbok rugby team participated in the 1981 tour of New Zealand, defying the agreement. The first sports policy was instituted by the South African government in 1956. The policy stated that whites and blacks were not allowed to play sports together, and only whites could represent the country in international competition. As a result, black athletes formed the South African Sports Association (SASA) in 1959. The goal of SASA was to promote the recognition of black and brown South African athletes and their ability to represent the country. SASA’s first item on its agenda was to eliminate the South African National Olympic Committee. SASA reached out to the International Olympic Committee (IOC) to address the racist policies within the South African National Olympic Committee. The IOC pressured South Africa, stating that if the policies were not changed, South Africa would be banned from the Olympic Games. Early in 1964, South Africa held separate Olympic trials for blacks and whites. With the trials, black South Africans were finally allowed to represent the country. However, the South African government did not want black athletes to fly in the same plane or live in the same Olympic headquarters as the white athletes. Those restrictions angered the IOC. As a result, the IOC withdrew South Africa’s invitation to participate in the 1964 Tokyo Olympic Games. 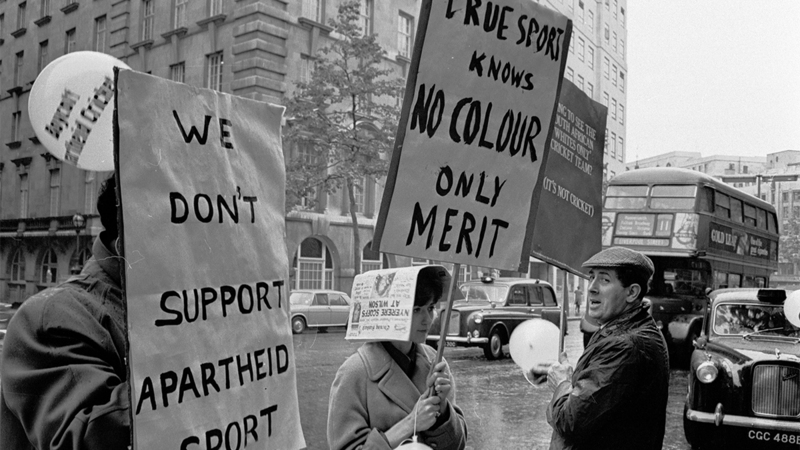 When apartheid sports laws persisted throughout the rest of the 60s, the South African Olympic Committee was expelled from the IOC in 1970. The decades of segregation and unrest were slowly killing the country. As cultural and racial views changed globally, South Africa found itself losing allies. The chaos in the country led to government changes. In 1989, President F.W de Klerk lifted the 1960 ban on the ANC and other anti-apartheid parties. He ended numerous apartheid restrictions and freed Mandela, along with other political prisoners, in 1990. Mandela continued to fight against apartheid, but peacefully. In 1993 Klerk held South Africa’s first all-race democratic election. In 1994, Mandela was elected president and a new South African government of national unity was formed. Since the end of apartheid, which legally segregated sport, inclusivity has started to take root in sport, but change has come slowly. “We’re certainly a lot further than what we were in ‘94, but there’s certainly still some challenges,” said Nkambule. “Cricket and rugby are the problems, because they still have a lot of black players who are left out, and they are competent and talented, but they’re just never selected,” Nkambule said. Rugby and cricket are seen as the main sport for the country’s white minority. In 2015, the South African national rugby team was accused of favoring white players and discriminating against black players, according to the Globe and Mail. Many black South Africans believed South African rugby officials didn’t recruit many black rugby players. “Almost snow-white,” is what South African journalist, Mondli Makhanya, called the team. Another accusation made by critics of the sport alleged that the black players who are recruited do not get as much playing time as their white teammates. Jacques du Toit, a University of Cape Town scholar, studied the playing times of black rugby players and white rugby players, between 2007 and 2012. He discovered white players had much more playing time than black players. As a result of the controversy, the team’s coach, Heyneke Meyer, chose eight mixed raced or black players for the final World Cup squad, which consisted of 31 players. Many were satisfied with the decision, while others remained upset. The representation of black South African players in cricket is very small. According to the Economist, in 2014 to 2015, black South Africans accounted for 10 percent of international appearances. “Complacent,” is what the chief executive of Cricket South Africa, Haroon Lorgat, calls the organization’s efforts to develop black South African cricket talent. Economics can be the reason for the lack of inclusion in cricket and rugby. “These are all sports that are more expensive to play and prepare for,” Nkambule said. Nkambule explained the beauty of soccer is that you can create a ball out of anything. However, with equipment costs and player fees, rugby and cricket are on the costly side. Because of this, many mixed raced and black South Africans simply cannot afford to play those games. Therefore, by the time that black players start playing and training, they are already behind. “The social, political and economic situation impacts everything, and in sport this impact is in development: not having access to opportunity, not having training and so on,” Nkambule said. The past and current climate of South African sports opens provides a road map, and cautionary tales, for the future.